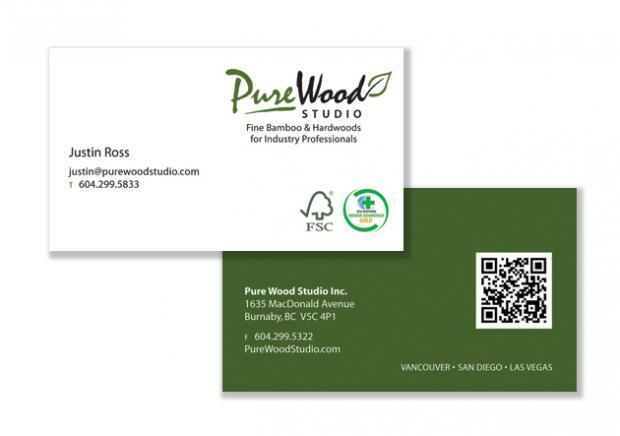 Pure Wood Studio is a new division of Peter Ross and Associates, a third-generation supplier of building products. 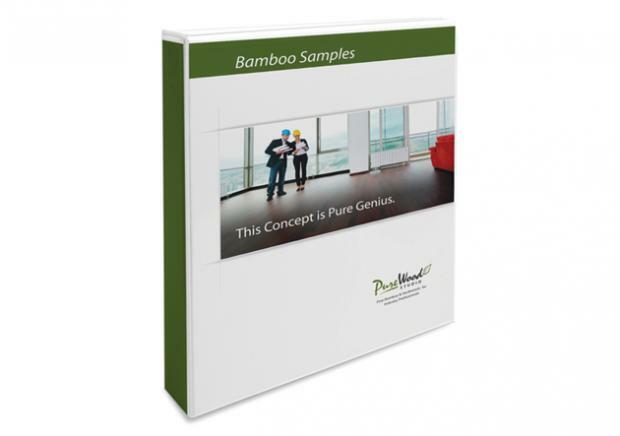 The company markets unique eco-friendly bamboo and hardwood flooring products directly to designers, architects and builders. 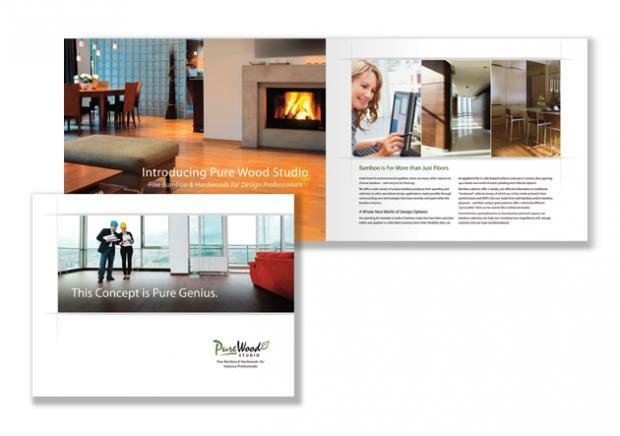 As a new company, Pure Wood Studio needed to create a brand that reflected the exclusive, high-end nature of its products. 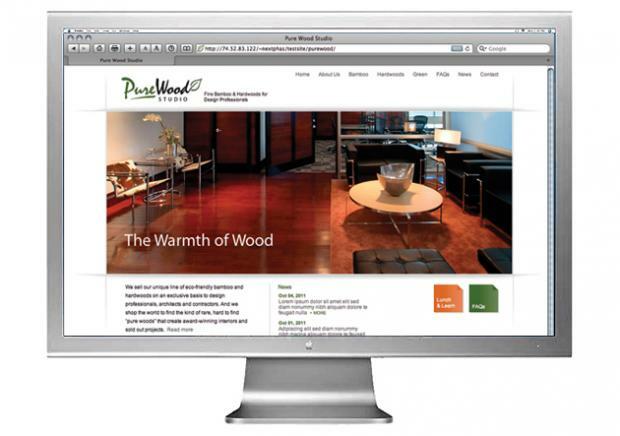 At the same time, it needed to build awareness for a company that is unknown in the area of high-end flooring. Pure Wood Studio wanted to communicate four key brand attributes to its target audience: rare, sustainable, durable and beautiful. To fulfill this objective, we created a corporate identity and communications materials that were clean, easy-to-read and exhibited good design – qualities reflective of publications such as Architectural Digest and Interior Design. 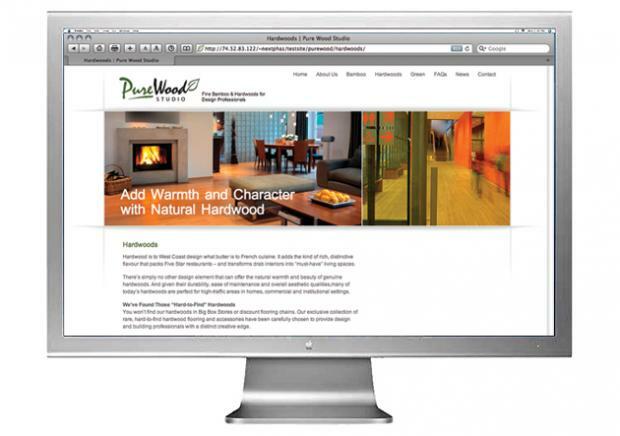 The main marketing focus was the website, which featured beautiful interior images combined with small blocks of text for a clean designer look. 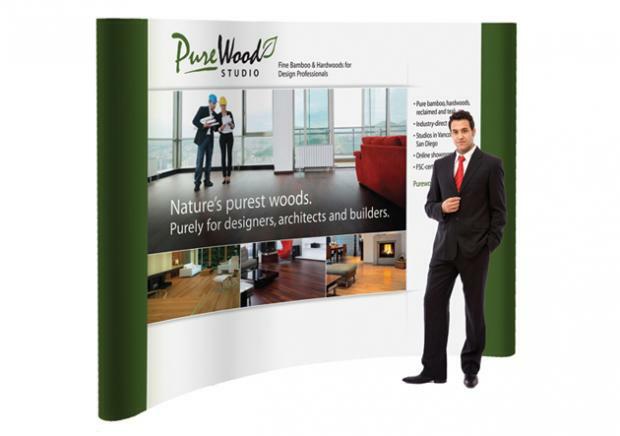 Supporting materials included a unique six-page brochure, product sample book and trade show display. The new look and feel met the objectives of clean and green with considerable design appeal. After the corporate launch, awareness for Pure Wood Studio took a giant leap forward, resulting in an expansion of its product offering to include teak and reclaimed wood. The company is continuing to use the website as its main promotional vehicle, avoiding the cost of operating a showroom.